Highly polished frames combined with 8 or even 10mm pristine glass makes sure your new bathroom breathes value and exclusivity. 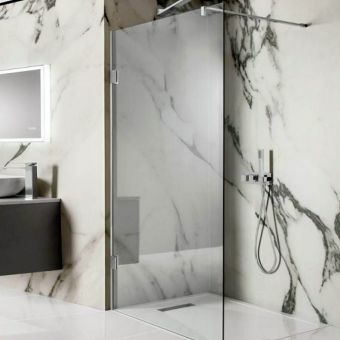 Wet room panels, quadrants or even pivoting doors can be sourced to fit every size of bathroom creating a bold statement without compromising their exacting standards. Specialists in creating beautiful enclosures for the walk in shower space, wetroom or alcove shower, Simpsons shower enclosures are a natural choice for the discerning buyer. A selection of high quality bath shower screens from Simpsons featuring high quality silver frames and 6mm toughened glass treated with an easy to clean application. 10mm glass is the new face of luxury in the bathroom industry. The weight and precision of a door closing made from this glass gives a feeling of solidity that just isn't present in thinner enclosures. 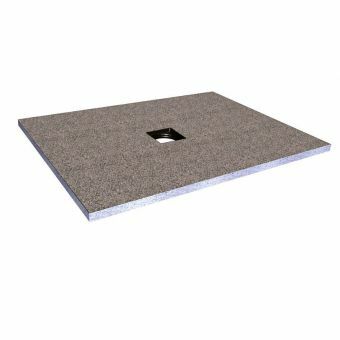 It is also the first choice for wet room panels and walk-in showers coupling easily with overhead bracing bars. All Simpsons enclosures and fittings comply with the WRAS approval scheme guaranteeing your shower has been build and can be installed with complete confidence. 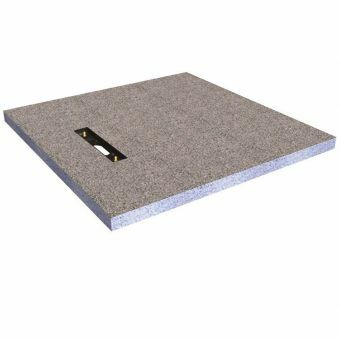 After choosing your new enclosure you are sure to be thinking about a suitable tray. Simpsons produce several ranges from 25mm to 45mm and recently introduced their exclusive new slate effect range supplied in white, black or the very popular grey. 35mm acrylic trays compliment the new stone resin 45mm and ultra-low profile 25mm trays coupled with matching chrome plated wastes that whisk the water away in seconds. Special solutions include anti slip and easy-clean surfaces. All bases are covered allowing choices of framed, semi-frameless or frameless screens giving you the maximum control to create the look you want. Wall profiles offer a co-ordinated feel using highly polished aluminium coupled with an adjustable range to allow a perfect installation without gaps. Smooth honed glass edges and rounded profiles put safety at the top of the agenda and the handy hinged folding screens make cleaning an easy task. Every bathroom is different and having enough choices to create the dream space you crave can only be achieved if the correct design is available. All aspects of enclosure ranging from Straight pivot to walk-in and quadrant are included in their design catalogue. Installation of these superlative enclosures is easy and full instructions will keep your plumber happy. Precision engineering will give you an exact fit to prevent leaks or movement creating an investment that will last a lifetime. The Company designs, manufactures and distributes a wide range of top quality bath screens, shower doors and enclosures to suit the most diverse of situations and tastes. Quality and engineering excellence provides value that will suit the pockets of any style savvy homeowner. 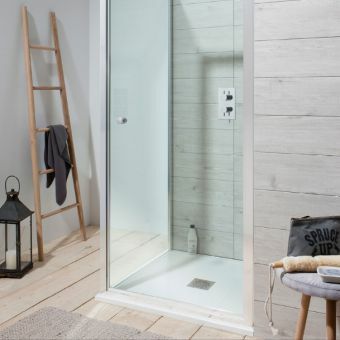 For over 20 years they have successfully produced beautifully designed doors and bath screens, built to withstand the rigours of modern living. 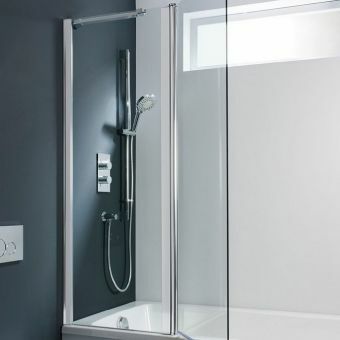 With a range of unprecedented quality, featuring 5, 8, and 10mm thick toughened safety glass, combined with the strength of aluminium extrusions, which is up to 100% thicker than the average used by many other makers of shower enclosure. Simpsons unique seals ensure a perfect watertight fit and their products are individually built by hand to a very high specification, which is why the company are able to give a lifetime guarantee! 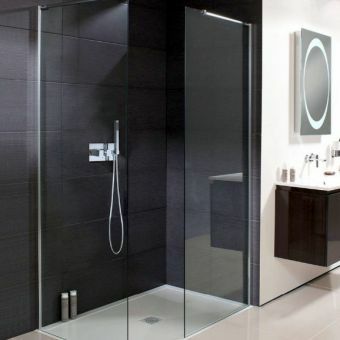 A member of the Crosswater Group of Companies, Simpsons manufacture a range of shower enclosures and bath screens that are synonymous with superior manufacturing and designer style. 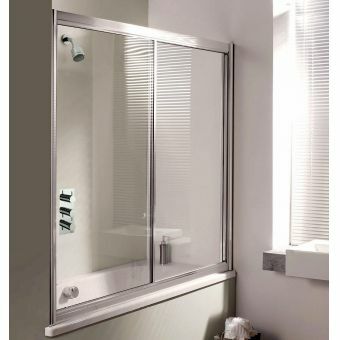 Using their expertise, established over many years, you will find shower enclosures and bath screens with a difference. Simpsons products are guaranteed for a lifetime; with their craftsmanship you will be always assured that the precision made products ooze style as well as performance. 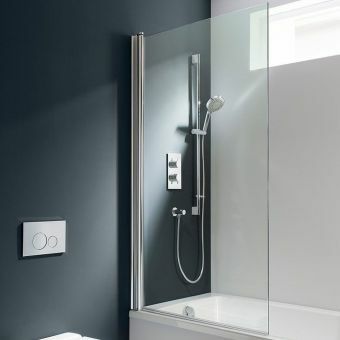 With the style and sophistication of Simpson enclosures your bathroom, en suite, or wet room will stand the test of time, which with the range of designs and the finishes offered, together with a bespoke made to measure service, you are certain to find the shower enclosure that is ideal for you and your family. All the showering products that come from the Simpsons factory are of minimalist design virtually frameless with highly polished glass suggesting that refined and specialised product that is found in all the range. These include the TEN collections, a truly bespoke range, to the Design and Classic, through to the Supreme. As part of The Crosswater Holdings Group, Simpsons is able to provide fully-inclusive style for all of your bathroom needs. Simpsons Classic panels and doors are just that. Presented in frameless and semi frameless forms, the Classic is a sure method of creating a sleek, spacious shower enclosure for the home or commercial setting. Whether using the recessed space, or creating a corner or standalone cubicle, Simpsons Classic has the answer. Hinged, slider and in line shower door formats allow you to plan and install a shower enclosure right for your bathroom or en suite. 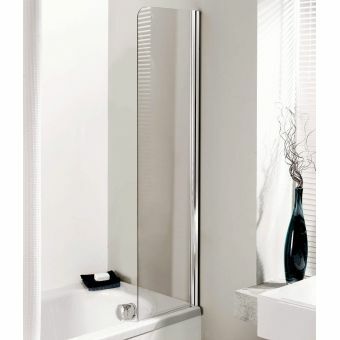 Varying in size, the arrangement of chrome and glass ensures a timeless look. Fully power shower and steam proof, these units are built to the exacting standards set by Simpsons. 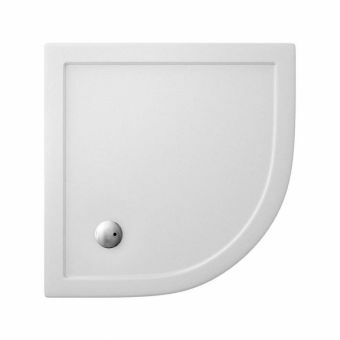 For freestanding or corner cubicles, the side panels are available in numerous widths, giving you the scope to fit a shower cubicle to the dimensions required of your bathroom. 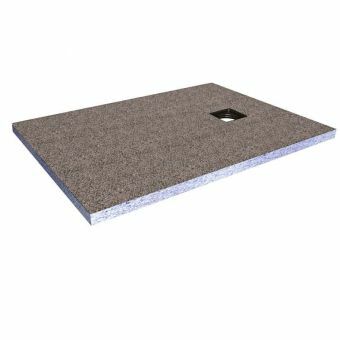 Micro adjustments are factored into the manufacturing process for out of true walls, demonstrating the Simpsons dedication for user friendly products. 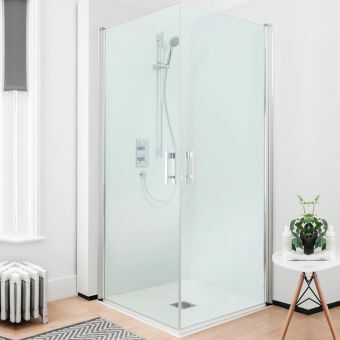 Exploiting the benefits of leading manufacturing processes, the Design shower enclosures are realised in a semi frameless format that is totally suited to the chic minimalism of contemporary, cosmopolitan living spaces. 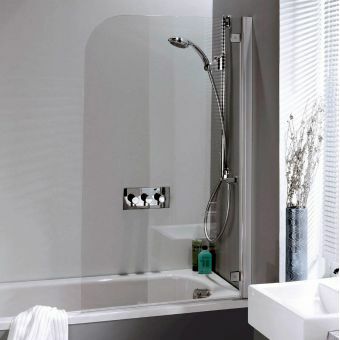 The flat or hotel room with a Design shower is one that is bound to make a lasting impression on any who see or use it. Recessed, walk in and quadrant shower enclosures are all represented here, giving the user options to pick the appropriate piece for the space available. Hinged and sliding doors turn the wall alcove into a comfortable space in which to shower, or for the ultimate in designer minimalism the Design walk in enclosure exudes a sense of light, air and space in which to refresh. 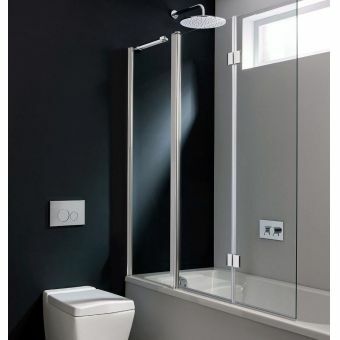 The semi frameless style is arranged with a pared down look, using toughened safety glass and adjustable fixtures to fit into out of true walls. 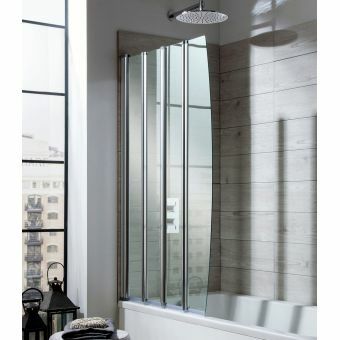 Give your bathroom the shower enclosure it deserves with Edge. A bold arrangement of glass and stunning silver framework, the Edge shower enclosure range covers a host of styles and sizes for the user to select the perfectly fitted shower. 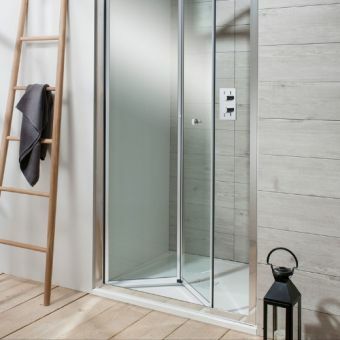 Pivoted, bi fold and sliding shower doors are all represented here, each available in a variety of sizes that brings flexibility of design to the table. 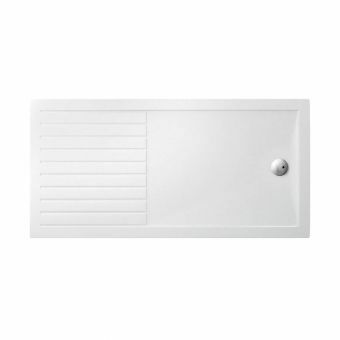 Recessed shower spaces are readily created, while side panels allow for corner or triple sided cubicles. Corner entry and quadrant options provide ready made solutions for those looking for a space saving solution, naturally sealing off the corner space of the bathroom for a space that is inviting and refreshing. The fine detail of the single, round handle gives a visual cleanliness to the whole arrangement, skilfully matched to the shining chrome of the frame and fixtures. Expertly crafted shower doors and panels make up the Simpsons Elite range. Whether square, quadrant or walk in, these shower enclosures bear all the characteristics of high quality manufacturing expected of Simpsons. For the ultimate in modern minimalism and accessibility, the Elite walk in cubicle is a simple but effective solution. No moving parts and a bare minimum of components, it epitomises their approach to creating clean, open styled pieces for modern living spaces. 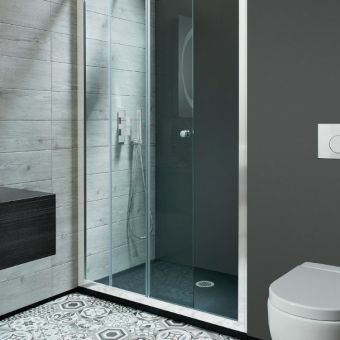 Fixed and side panels, with a range of door options in left and right, give total control to the user when planning and designing the bathroom shower space. With such versatility, it is easy to see why Simpsons is a firm favourite among the most discerning buyers. 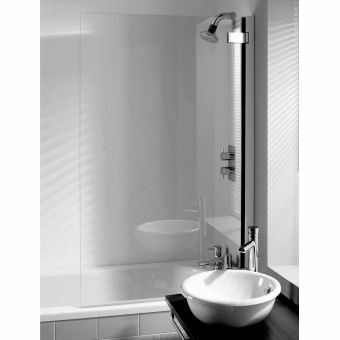 Toughened 8mm thick safety glass is used throughout all panels in the Elite range, keeping it safe and easy to clean while perfectly complemented by the chrome panel frames and hinges. Offering almost every kind of shower enclosure in a single range, Simpsons proudly present the Supreme enclosures. Expertly realised in curved, square and recessed styles, there is bound to be something to suit within the Supreme shower cubicles. Framed and semi frameless models alike are manufactured from toughened safety glass, putting user safety and comfort at the forefront of design. 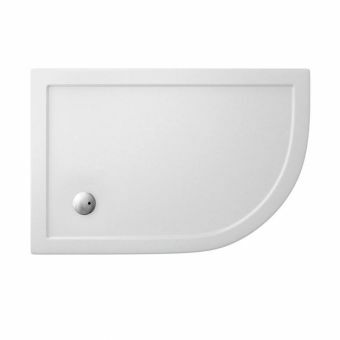 Convenience of installation is also a major consideration, with reversible doors for left or right hand openings, a range of each model and adjustable tolerances for use with out of true walls ensuring an easy a fitting as possible. For the designer looking to create a recessed shower space, a corner entry cubicle or a luxury quadrant space, Supreme is a natural starting point when beginning to realise your ideal bathroom space. Representing the very latest ideas in frameless shower enclosure design, TEN has an almost architectural purity of form that will find appeal in the most discerning of interior designers. 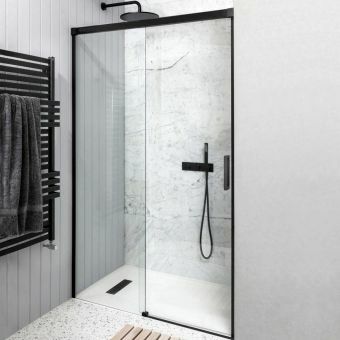 By eliminating the need for metal supports and stanchions, TEN frameless shower enclosures present a minimalist vision of what the modern bathroom can become. Slider doors give a fluid, luxurious action to the recessed shower space, while the fixed panel, walk in enclosures present the ultimate in design flawlessness. Sheer glass panels, crafted from reinforced safety glass stand proudly to create shower spaces of light and air, inviting the user to step in and become refreshed. Modern manufacturing techniques are employed to create panels and doors with a 10mm thickness, using toughened safety glass for the ultimate in user safety and comfort, with the additional bonus of each piece being easy to keep clean and sparkling for year to come.